If you’re like me, your smartphone has become an essential part of your life. Not only does it help you navigate through your typical daily schedule, it is indispensible while traveling too. That’s why keeping it safe from harm is incredibly important, as it only takes is one accidental drop to completely destroy its bright, beautiful, but oh-so fragile, screen. That’s why picking the right case is so important, as not only will it save you from such a disaster, it can provide other levels of protection too. Something I discovered recently while testing the new Frē ruggedized case from LifeProof. Now before I go too far into my thoughts on the Frē, I should first preface my comments by providing some insight as to how I feel about phone cases in general. My smartphone of choice at the moment is an iPhone 6s, which is extremely thin and lightweight despite its larger screen. I love how sleek it looks, and generally prefer to use it without a case when I can. That said however, Apple’s approach to design can make it challenging to hold onto the phone, which almost feel like they could squirt out of your hand like a wet bar of soap at times. Of course, this can lead to disastrous consequences, which is why I usually use a case, albeit one that is as thin and light as possible. I hate the bulk that most cases added to our smartphones, but understand that they are important for keeping our gadgets safe. 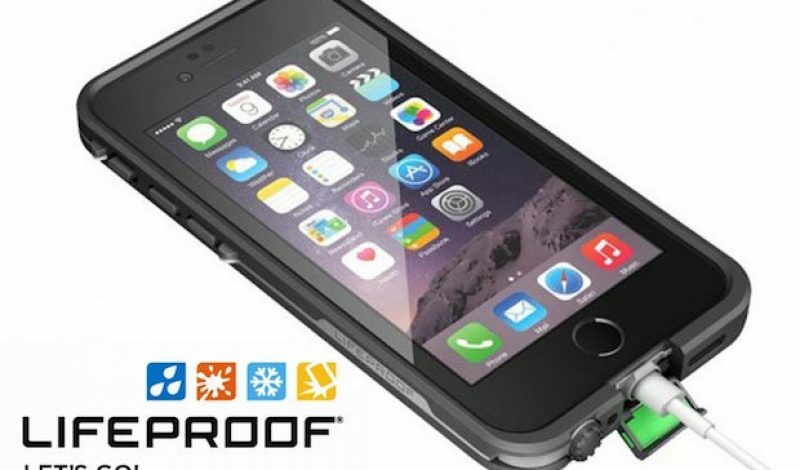 LifeProof is known for making extremely durable cases. In fact, we shared our thoughts on their Nüüd case just a couple of months back. In fact, LifeProof’s offerings are often aimed directly at the active, outdoor crowd, who need a high level of protection for their mobile devices. What intrigued me most about the Frē is that it promised to do that, while adding as little bulk as possible. Placing your phone inside a ruggedized case can often be a challenge in and of itself. But installing the Frē was far easier than I expected. The case is essentially made of two pieces that slide onto the top and bottom of the phone, securely connecting with one another once they are fully seated into place. An O-ring connector on the back locks everything up tightly, keeping water, dust, dirt, and other harmful elements at bay. The case comes with a screen protector that sits over the top of the iPhone 6s’ 3D Touch display. It helps to keep the screen from getting scratched or cracked, as does a thin lip of rubber that runs along the outside of the case, creating a protective buffer from the pavement when dropped. I’m not a big fan of screen protectors in general, because they rarely feel right on a touchscreen device, and can cause issues with input detection at times. But in this case, there were few problems, and even the 3D Touch elements worked as expected. The Frē is designed to allow full access and use of the Touch ID fingerprint scanner in the Home button too, not to mention the power, volume buttons and mute switch on the side of the iPhone as well. Similarly, the headhpone and lightning ports are accessible too, although both have unique enclosures that are designed to help keep moisture out. Those features made for a snug fit when using a charging cable, and LifeProof includes an earphone extender cable as well. But they also do the job in terms of preventing water or dust from invading the interior of the case, which is the whole point to begin with. When testing the Frē case on my iPhone 6s, I didn’t take the bold step of fully immersing it in water. But as someone who runs with their phone nearly every day, I’ve been caught out in all kinds of weather conditions, including heavy downpours. I’ve even had heat and humidiity play havoc with my phones in the past too. But with this case, my device was well protected, and never had any issues with dust, dirt, or moisture. It has even survived several nasty drops without so much as a scratch too. But the absolute best part for me is that somehow LifeProof has managed to deliver this kind of protection without creating an overly bulky case. Make no mistake, you’ll never confuse an iPhone wrapped in a Frē case for one that isn’t, but for such a durable and rugged case, there isn’t much weight or thickness added. And whie there are other cases on the market that promise a higher level of protection, the vast majority of us don’t need that level of armor on our phones. For us, the Frē will perform just fine, while also maintaining a relatively sleek and slim look in the process. The Frē is priced at $67.99, which makes it fairly affordable when compared to other ruggedized cases, or even some not-so-rugged ones. If you are someone who finds yourself traveling through challenging environments regularly or you simply tend to drop your phone all too often, this is a great option for you. This case will keep your iPhone 6s well protected, without costing you an arm and a leg or making it too bulky to comfortably carry around with you everywhere. That’s something that we can all appreciate. For more information on the Frē or LifeProof’s other cases visit LifeProof.com.